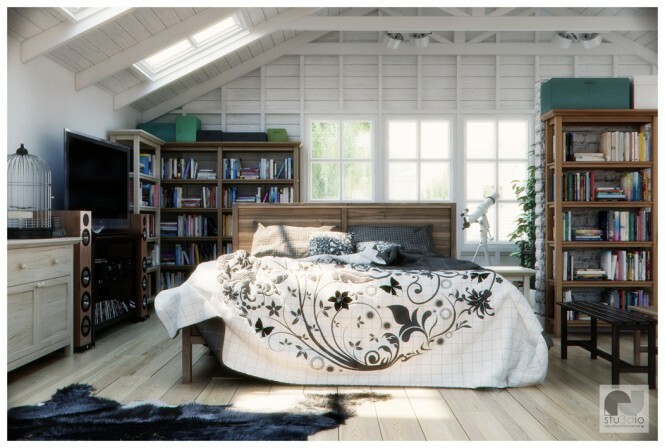 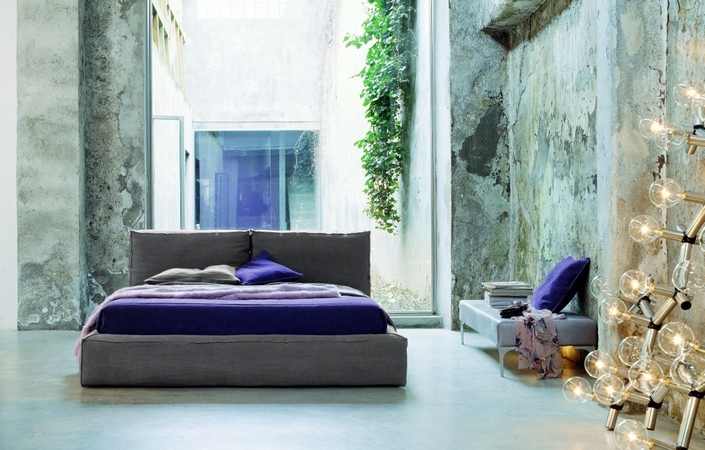 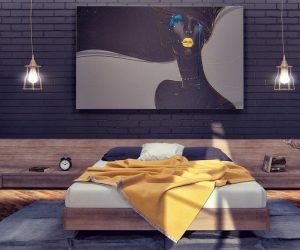 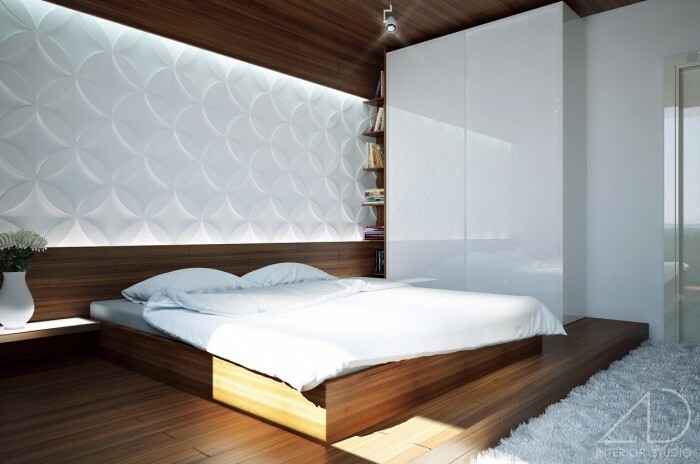 There are a plethora of styles to follow when it comes to bedroom design, many people like a traditional or a romantic themed room that can be dressed up in ornate furniture and frills, but how do we approach the plainer canvas of a contemporary sleep space without the result appearing bland? 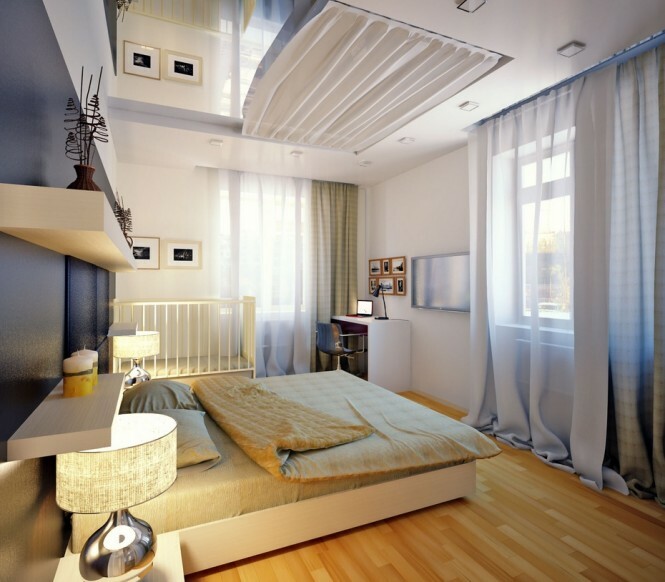 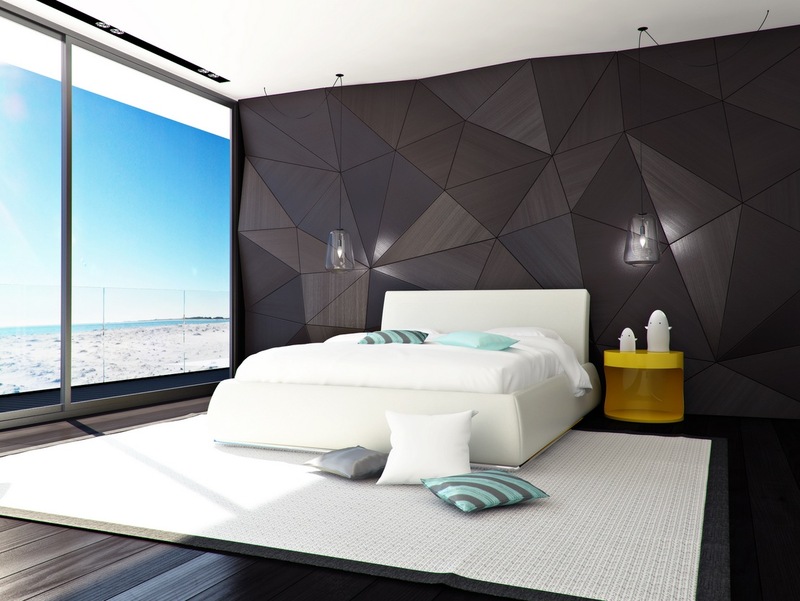 This spread of modern bedrooms shows us how it's done. 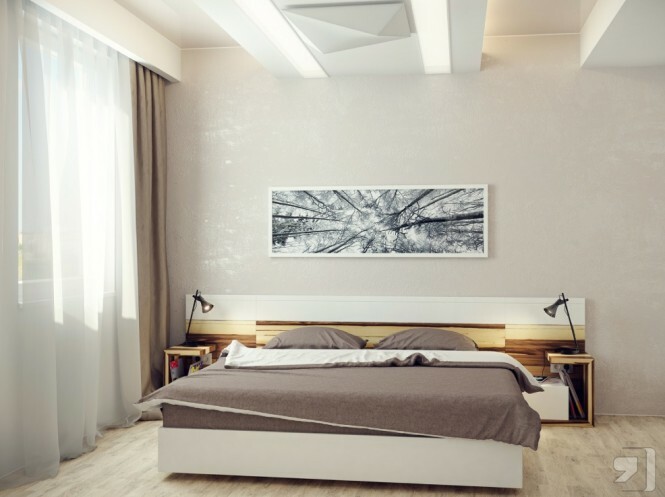 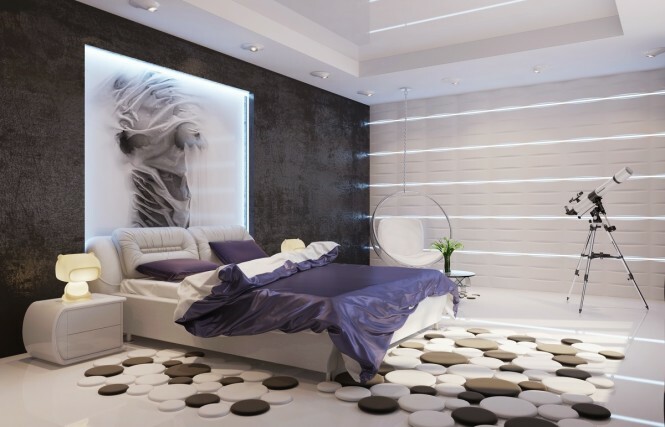 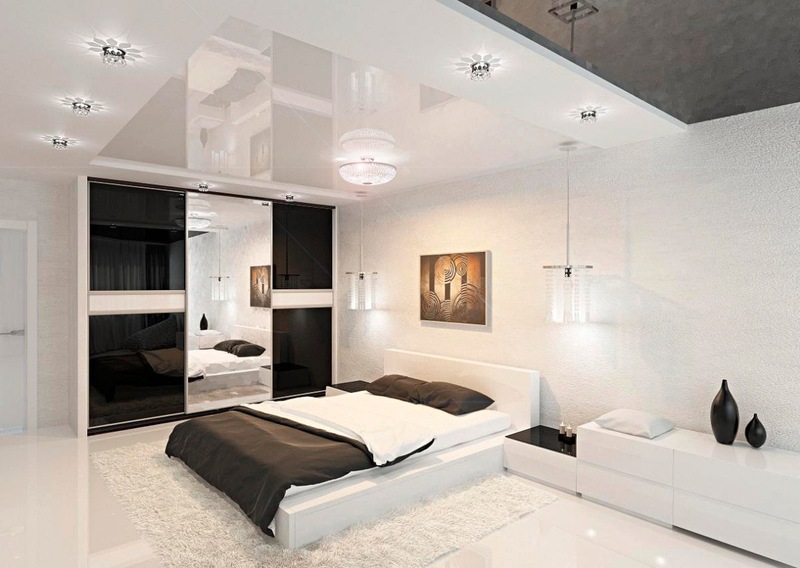 Colorful abstract artwork and the black bed add contrast to this largely white bedroom. 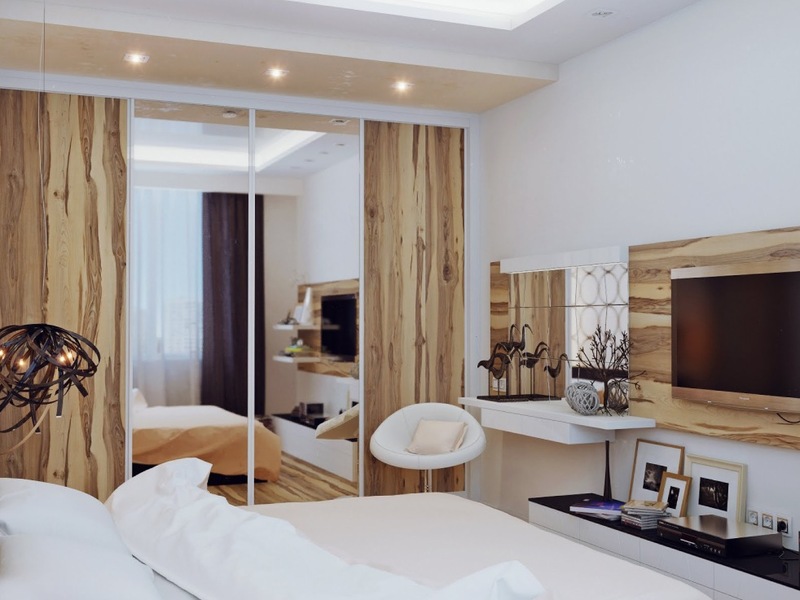 Bold wood grain is worth considering if you like to keep your layout simple, as the wood tones will add warmth and calm natural pattern without screaming for attention. 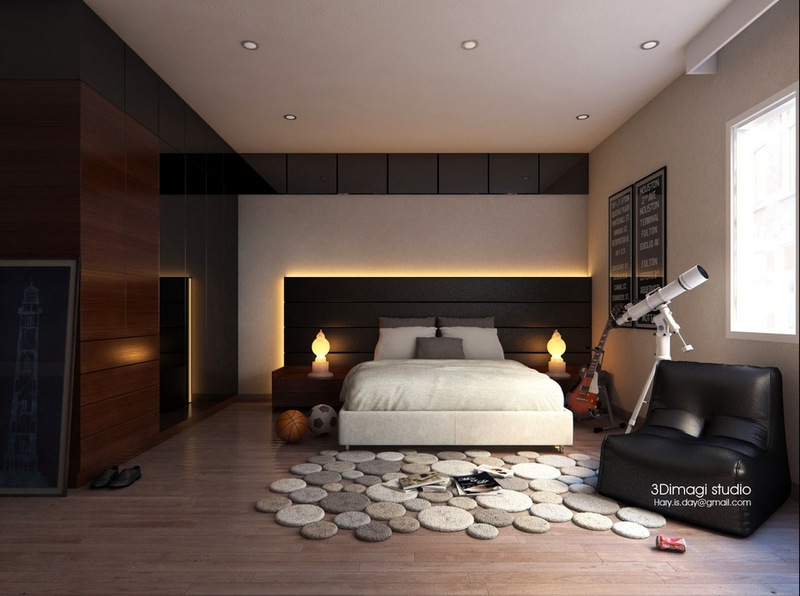 This modern space is filled with character, using a mixed selection of furniture finishes and a graphic bedspread. 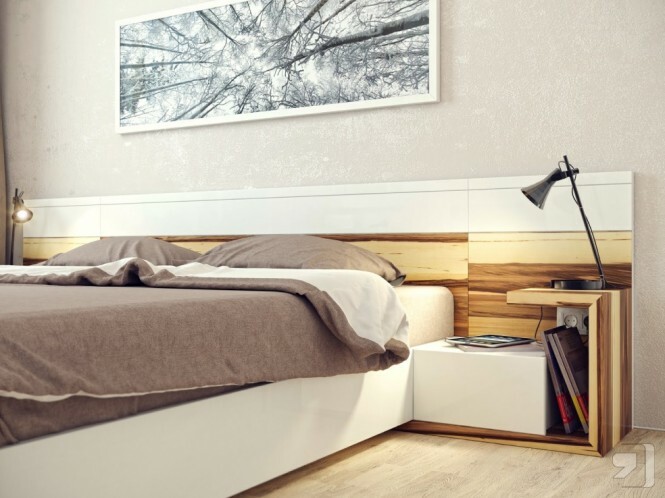 Although design of the moment often rests on the minimalist side, this scheme uses life’s souvenirs to breath life through the room, keeping books and knickknacks proudly on display. 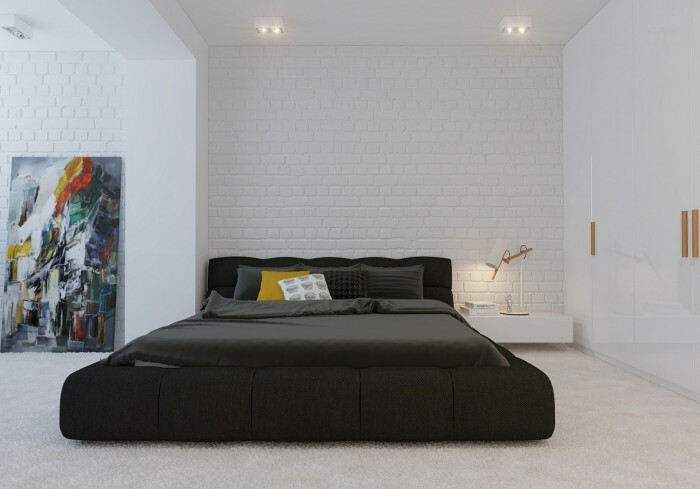 This airy open plan avoids the feeling of being too cold with the installation of wall paneling; the wall treatment adds visual interest, breaking up an overwhelming expanse. 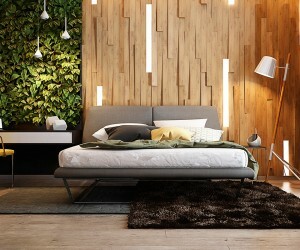 Quirky rug design is another fabulous way to introduce pattern and texture to an otherwise plain room. The great thing about using a rug as your statement is that it can easily be changed out later if you fancy a change. Likewise, wall art provides ultimate impact without the permanency.